Holy heck. So I decided to test out this keto craze that so many of my friends are doing...I’ve had multiple friends lose anywhere from 5lbs to 40lbs depending on where they’re at on their keto journey. I was skeptical at first, but now that I’ve had a handful of friends have so much success (both guys and girls), I’ve been convinced enough to try it. It’s going to be super tough...I love bourbon & sprite or bourbon & ginger beer and the mixers are so not keto approved...and I also love carbs. I AM excited about the fact that keto is high fat which means I get to have more butter, cream cheese, and other cheeses! I tried keto a month ago, but not seriously. I didn’t do any research really except look at a list of some foods you can and can’t eat, and I didn’t meal prep. So that lasted for about two days before carbs happened. This time will be different though. I spent a lot of time this past Saturday researching keto, how it works, what you really can and cannot eat, and looking through a ton of recipes. I currently use MyFitnessPal to track my macros and exercise, but it’s not the best set up for keto...I knew that surely there had to be some type of app to help track it and thankfully I was right! If you have an iphone, head to the app store and download the Keto Diet Tracker app. It’ll make it so much easier to know your net carbs for the day, etc when you’re putting in the ingredients from your recipes. For some great recipes (including the one in this post), I found an app called Keto Diet & Ketogenic Recipes. 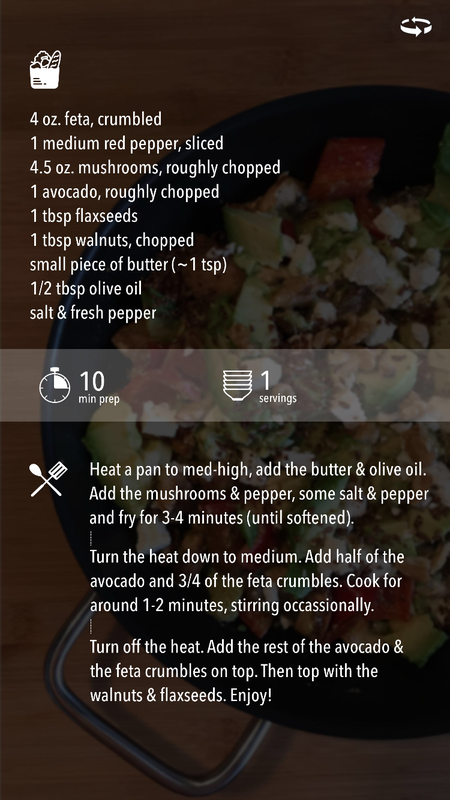 The recipes look absolutely delicious and this Mushroom Avocado Feta Stir Fry that I’ve prepped for lunch this week is outstanding! ...and VERY filling! So much so that I literally had ONE bite left and I couldn’t eat it. I just couldn’t do it. When you’re making these recipes, make sure to pay attention to the serving size! To meal prep for Christopher and myself for Monday through Friday, I had to multiply the ingredients by 10 to make sure that I had enough for both of us every day. If you’re cooking for yourself and one other person, I’ve taken the math out of it and listed the appropriate amounts of each ingredient below. I’m pretty excited about this recipe and I think I’ll actually start posting more “keto for two” recipes with my review. Tip 1: If you make a weeks worth of this recipe for two people, cook it all in a stockpot with a lid and stir occasionally. It’ll be MUCH more efficient than cooking it in batches in a skillet or saute pan, which is how I started doing it. After a few minutes, I said screw it and I dumped everything into my stockpot...way easier! A pot similar to the one I use can be found here. Tip 2: Use a food processor! 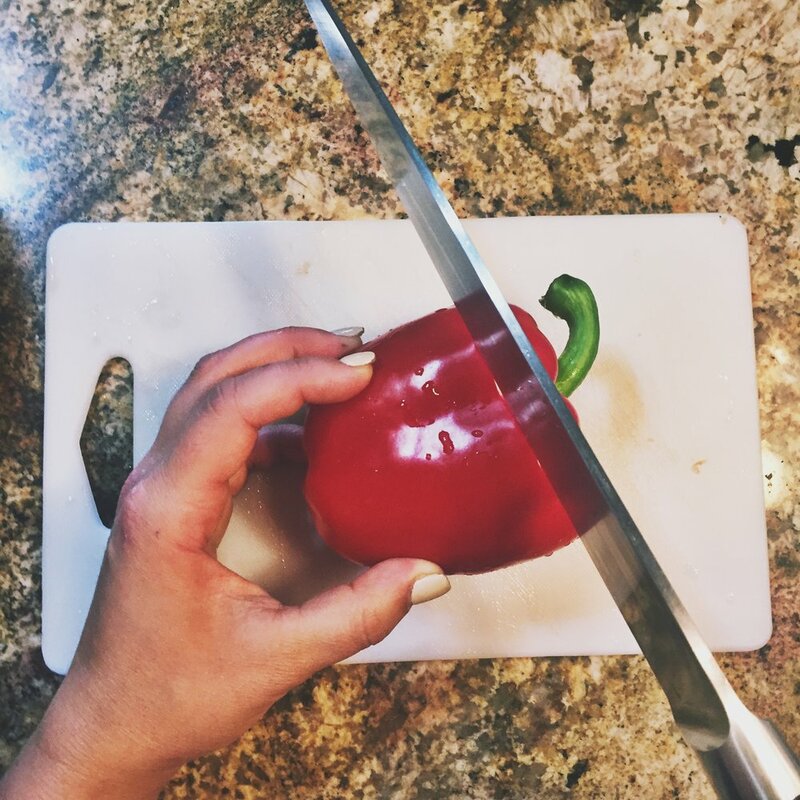 Having 10 red peppers and 40 oz of mushrooms sitting on my counter was almost overwhelming because it would’ve taken me so long to slice everything myself. The grocery store does sell pre-sliced mushrooms and peppers, but they’re also more expensive. So I bought whole peppers and mushrooms, cut the ends off of the peppers and cut out the seeds in the middle, and let the food processor do the rest of the work! You can find the food processor I use here. 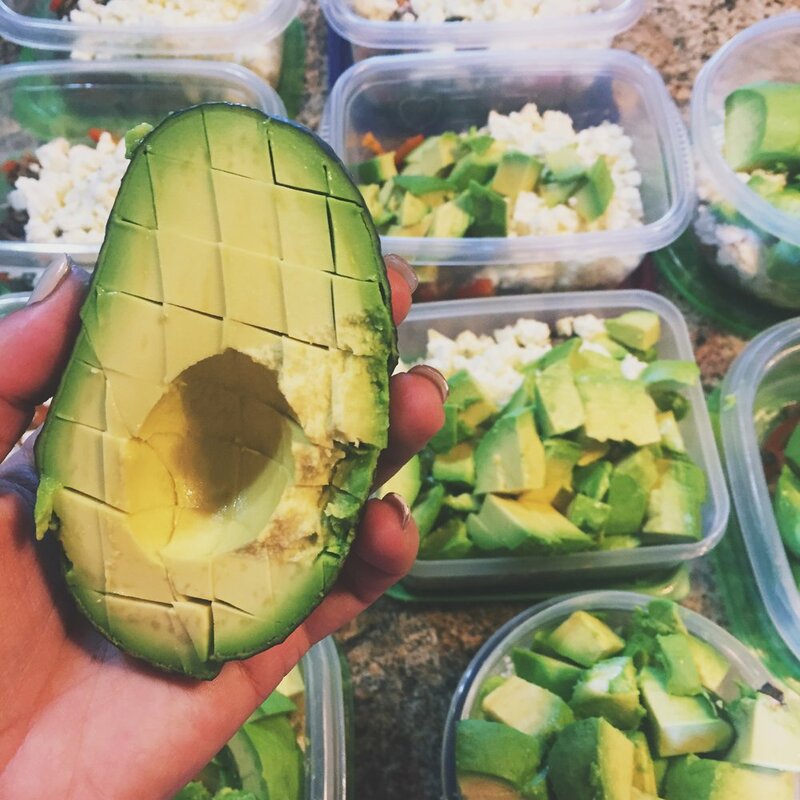 Tip 3: Avocados can be difficult to work with once the skin is off because they’re slippery. I use a knife to carefully slice them while still in the skin and then dump it upside down onto the plate. I hope you enjoy this recipe as much as Christopher and I do! It’s definitely going to be a repeat recipe in our household. Make sure to leave a comment below and let me know your thoughts once you’ve tried it!